To view/download our 2013 Brochure, please click here, or the image below. Our online products are organized by category below, to view the prices please login or create an account to have complete access to the store. If any questions come up please feel free to contact us so that we may assist you further. 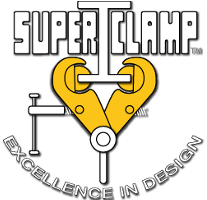 Thank you for shopping with SuperClamp and have a wonderful experience.